Brooke Mill Lane post mill stood at Mill Farm. 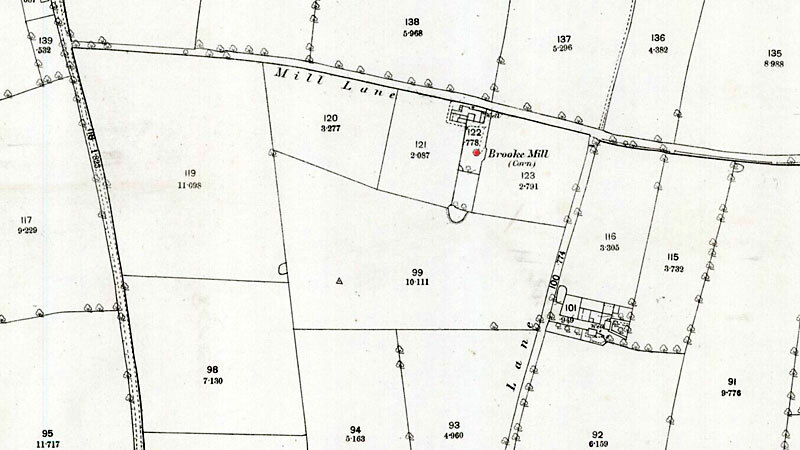 The mill buck was set above a brick roundhouse and the mill ran 2 pairs of stones. To be Let, and entered upon at Michaelmas next. A capital WINDMILL standing on a brick Roundhouse and driving 2 pair of stones, now in full trade, together with a comfortable Dwelling house & convenient Outbuildings and 30 acres of Land adjoining now in the occupation of Mr. Jonathan Feltham. Apply to Mr. Crabtree, Halesworth, Suffolk.